City Ear Phones are a must for your next budget conscious promotion. 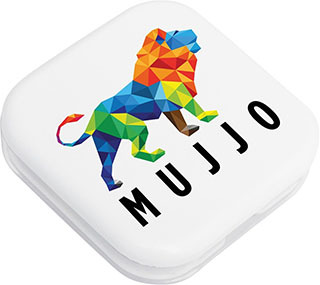 The designer case protects the ear buds and ensures annoying tangles are avoided. This product can be printed in full colour for maximum impact. Available with white body and clear lid.